I sometimes sardonically comment about Democratic politicians playing Santa Claus, but Republicans can play that game as well. Trump and his allies in Congress recently agreed on a big-spending budget deal that lavishes more money on both the Pentagon and domestic programs, and that was only a few weeks after agreeing on a tax reform plan that lower taxes (though only for nine years). Even if I like part of what’s been happening, that kind of populist approach at some point becomes unsustainable. And when the D.C. swamp ultimately has to choose between lower taxes or higher spending, they’ll go with the latter and make things even worse by jacking up the tax burden. My frustration is apparent in this recent interview. And I’m not the only one who sees the long-run dangers. In a column for the Wall Street Journal, Professor Edward Lazear of Stanford explores the economic damage of ever-expanding government. The budget deal President Trump signed earlier this month will send federal spending and the deficit skyrocketing. On top of this spending explosion, the administration now plans to add a $500 billion infrastructure bill. …over time high spending necessitates high taxes, and high taxes reduce work and restrain growth. Economic trends in developed nations consistently show that low taxes and hard work are linked to robust growth. He looks at some of the cross-country evidence. European countries trail the U.S. in working hard and controlling taxes, and their economies have lagged in comparison. France has a tax-to-GDP ratio of about 44%, and in Italy it’s 43%. The French and Italians work almost 30% fewer hours per person than Americans. Notably, the French economy has flatlined since 2010 while Italy’s has contracted. …Data from the Organization for Economic Cooperation and Development suggests that a 1% increase in a nation’s tax rate is associated with a 1.4% decrease in hours worked per person in the working-age population. Here’s the part that resonated with me. It’s excessive spending that ultimately is the problem. …taxes are ultimately dictated by spending. 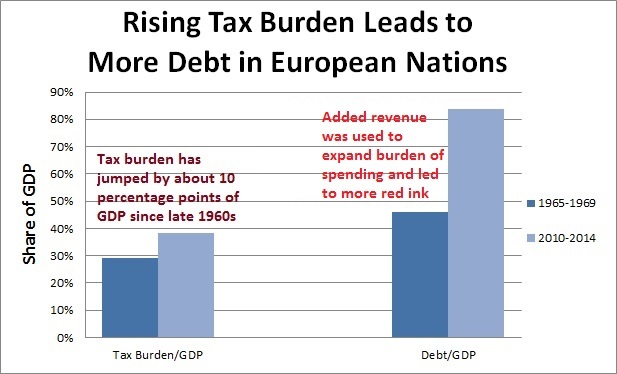 Countries can borrow to finance short-run spending, but they must eventually levy taxes to repay the loans. Whether a government raises taxes now or later to pay for expenditures is a minor consideration compared with its decision to spend in the first place. …Higher spending goes hand in hand with higher taxes, higher deficits, fewer worked hours and less growth. The international comparisons suggest that a 4% increase in spending is associated with a decrease of roughly 0.5 percentage point in the average annual growth rate. Furthermore, it is spending—rather than the deficit—that correlates with sluggish growth. …Deficits often coincide with low growth because deficit increases are usually caused by heightened spending, not reduced taxes. 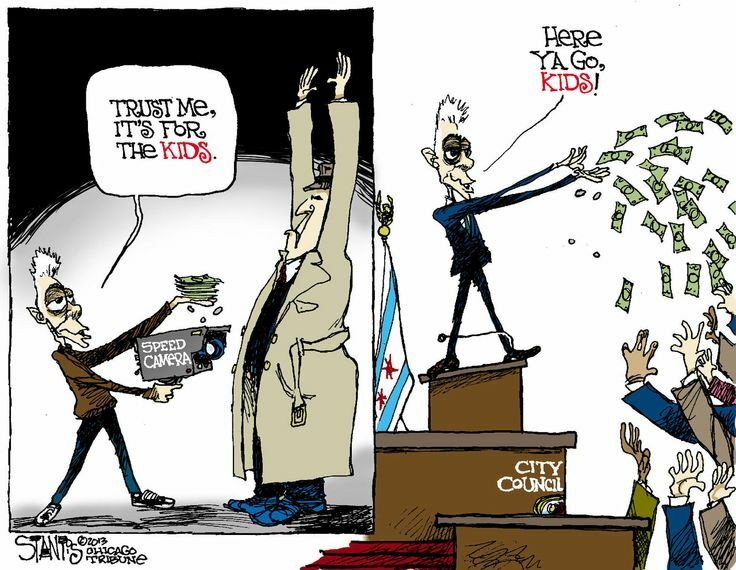 Raising taxes, or keeping them high without lowering spending, stifles growth. Heck, even the OECD has produced research on the negative impact of government spending on economic performance. And this approach can lead to a downward spiral. To the extent that government spending goes to programs such as welfare that directly discourage work, it has an additional growth-reducing effect. When fewer people work, those who do must be taxed even more to cover public expenses. These heightened taxes on labor discourage work in turn, pushing more potential workers toward government support. In other words, if we stay on this path, we’ll eventually become Greece. Not a good idea, to put it mildly. Since we’re on the topic, let’s look at some additional evidence. Three economists from Australia and the United Kingdom did a meta-analysis of studies on the relationship between government spending and economic growth. Here are some of the findings. One of the most contentious issues in economics is whether ‘big government’ is good or bad for economic growth. …Theoretically, big government can have both negative and positive effects on growth. …In this study, we include all effect-size estimates reported by empirical studies that examine the direct effect of government size on growth. 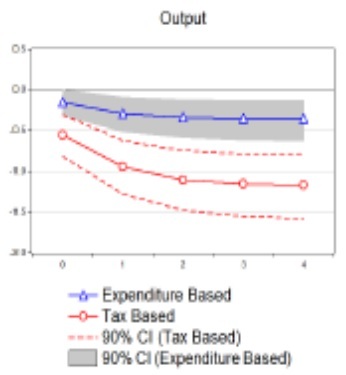 … findings indicate that: (i) total government expenditures have a medium and adverse effect on per-capita income growth in developed countries only; (ii) the effect of government consumption on per-capita income growth is also medium in developed countries and in developed and LDCs pooled together; and (iii) neither total expenditures nor government consumption has a significant effect on per-capita income growth in LDCs. I’m not surprised that they didn’t find a strong link in poor nations. The data show that those countries are generally too mismanaged and corrupt to collect much revenue. Therefore, as I noted in my recent analysis of Indian economic policy, they can’t spend much. What’s primarily holding back those countries is weak rule of law, excessive regulation, and protectionism. But I’m digressing. The study also acknowledges the Rahn Curve, though they call it the Armey Curve. …government size tends to have a negative effect on per-capita income growth as the level of income increases. This finding ties in with the Armey curve hypothesis (Armey, 1995), which posits an inverted-U relationship between government size and economic growth. The theoretical argument here is that government size may be characterised by decreasing returns. Another theoretical argument relates to the distortionary nature of taxes, which is minimal for low levels of taxation, but beyond a certain threshold, they grow rapidly and become extremely large. Sadly, some people mistakenly conclude that if a little bit of government is associated with more prosperity, then a bloated public sector must be even better. On a related note, Professor Alexander Salter dismisses the assertion (pushed by international bureaucracies) that big government is a pre-condition for prosperity. Here’s some of what he wrote. Why are Western countries like the United States and Germany so much richer today than other countries around the world? …One explanation for the success of the West is, in a word, liberty. Over the last few hundred years, classical liberal ideas such as the rights of man and the rule of lawput constraints on European governments’ power, which resulted in a strong protection of private property rights. This resulted in meteoric economic growth, which delivered the modern cornucopia of wealth. 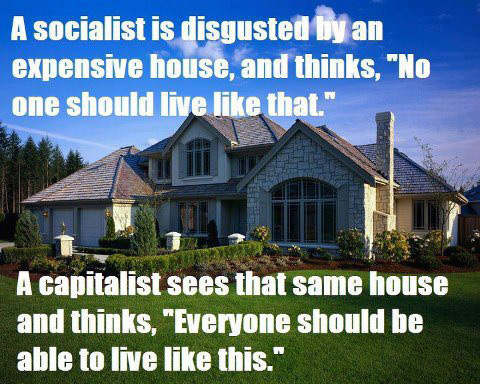 …Free countries get rich; unfree countries stay poor. 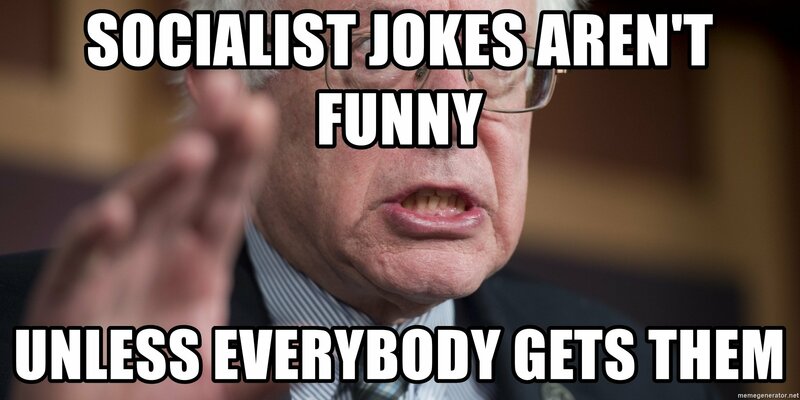 But there’s a competing theory. …another explanation — state capacity…is the idea that economic development requires strong, centralized states to uphold the rule of law and provide crucial public goods. …The state capacity literature in economics…places heavy emphasis on a single, strong, central legal authority. In this framework, the fractured and decentralized legal authorities in medieval and early modern Europe are now seen as antithetical to economic development. Salter is skeptical of the second theory. …it is undeniable that economic growth in the West did not take off until the rise of modern nation-states. … While governance institutions obviously began centralizing at the beginning of the modern era, …that’s insufficient as a causal explanation. …the state capacity literature has a hard time dealing with a very troubling counterexample: the totalitarian states of the 20th century: like the USSR and China. 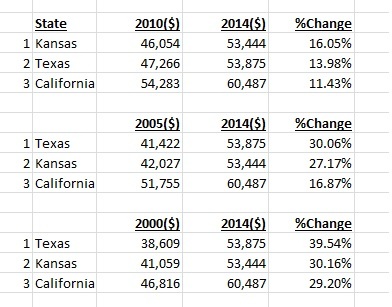 These states had plenty of capacity, as evidenced by their ability to murder millions of their own citizens… Needless to say, these kinds of things aren’t conducive to economic development. So he concludes that the first theory must be the answer, at least in part. …whatever is “doing the work” of promoting economic growth, it is upstream of the creation of states. …State capacity may or may not be a valuable steppingstone to an explanation, but it is not itself an explanation that social scientists should accept. …it seems the old hypothesis — that the big ideas of classical liberalism created Western economic growth — is worth another look! My bottom line, for what it’s worth, is that the classical-liberalism approach is the necessary condition, but that doesn’t automatically make it a sufficient condition. In a column last year on the emerging micro-state of Liberland, I tried to square the circle. Here’s some of what I wrote after looking at the literature on state capacity. 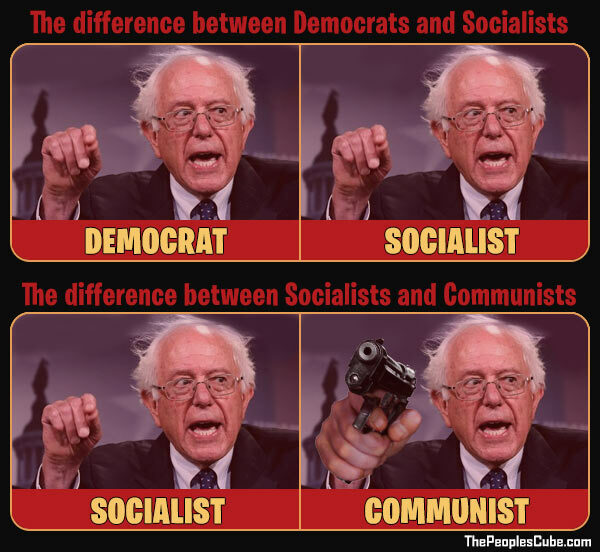 …the key to prosperity is having a state strong enough and effective enough to provide rule of law, but to somehow constrain that state so that it doesn’t venture into destructive redistribution policies. This is why competition between governments played a key role in the economic development of the western world. When governments have to worry about productive resources escaping, that forces them to focus on things that help an economy (i.e., rule of law) while minimizing the policies that hinder prosperity (i.e., high taxes and spending). …America’s Founding Fathers dealt with the same issues… Their solution was a constitution that explicitly limited the size and scope of the federal government. …that system worked reasonably well until the 1930s. I find this issue fascinating, but I suspect most people are more concerned about the real-world consequences rather than the theoretical underpinnings. So I’ll end on a pessimistic note by observing that we normally get bad fiscal policy from Democrats and worse fiscal policy from Republicans (Reagan being the only modern-era exception). I wrote three days ago about the worst-international-bureaucracy contest between the International Monetary Fund and the Organization for Economic Cooperation and Development. A reader emailed to ask me whether I had a favorite international bureaucracy. I confess I’ve never given that matter any thought. My gut-instinct answer would be the World Trade Organization since its mission is to discourage protectionism. But I’m also somewhat fond of the European Central Bank, both because the euro has been better than many of the currencies it replaced and because the ECB often publishes good research. Two studies (here and here) on the benefits of spending caps. Two studies (here and here) showing small government is more efficient. 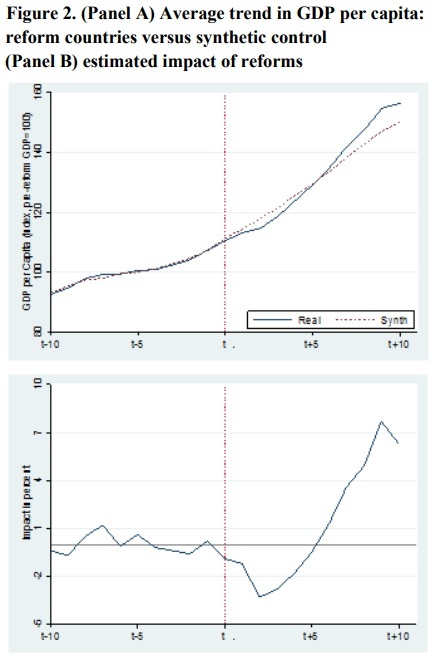 Two studies (here and here) on how large public sectors retard growth. And also studies on the adverse impact of regulation, bureaucracy, and welfare. And here’s a study on regulation to add to the collection. The European Central Bank published a working paper that looks at the effect of selected pro-market reforms. Here’s their methodology. In this paper, we investigate the relationship between a wide range of structural reforms and economic performance over a ten-year time horizon. …we identify 23 episodes of wide-reaching structural reform implementation (so-called “reform waves”). These are based on a database…which provides detailed information on both real and financial sector reforms in 156 advanced and developing countries over a 40 year period. Indicators considered specifically cover trade-, product market-, agriculture-, and capital-account liberalisation, together with financial and banking sector reform. 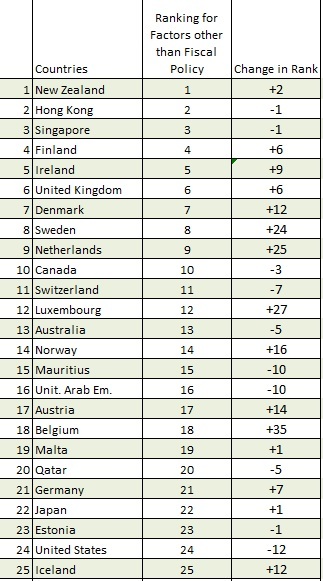 Then, we track top-reforming countries over the 10 years following adoption and estimate the dynamic impact of reforms. And here’s an excerpt that describes the theoretical assumptions. …orthodox economic theory has made a strong case for structural reforms, identified as measures aimed at removing supply-side constraints in an economy. This in turn would favour efficient factor allocation and contribute to medium- to long-term growth. Such measures include, but are not limited to, product and labour market liberalisations, current and capital account openness, and financial liberalisation. For a long time, a collection of these policies has fallen under the name of Washington Consensus. I agree with this theory, though allow me to elaborate. The Fraser Institute’s Economic Freedom of the World is the gold standard when looking at overall economic policy. It considers five major factors – fiscal policy, trade policy, regulatory policy, monetary policy, and governance policy (indicators such as rule of law and property rights). The “Washington Consensus” also is based on good policy, but it undervalues the importance of a small burden of government spending. But I’m digressing. Let’s return to the ECB study, which basically looks at the impact of trade liberalization and deregulation. Here’s what the authors found. Our main findings are as follows: on average, reforms had a negative but statistically insignificant impact in the short term. This slowdown seems to be connected to the economic cycle, and the tendency to implement reforms during a downturn, rather than an effect of reforms per se. Reforming countries however experienced a growth acceleration in the medium-term. As a result, ten years after the reform wave started, GDP per capita was roughly 6 percentage points higher than the synthetic counterfactual scenario. 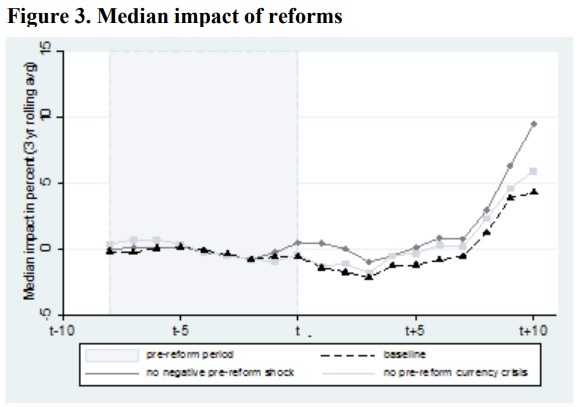 Here’s a chart from the study illustrating the positive effect of reform. And here’s another chart from the ECB report looking at the results from another perspective. The obvious good news from this research is that we have new evidence about the benefits of pro-market reforms. Boosting economic output by an extra 6.3 percent is nothing to sneeze at. And it reinforces my oft-made point that even small improvements in growth – if sustained over time – can lead to dramatic improvements in living standards. What might be most noteworthy in this study, however, is the finding that pro-market reforms are associated with a short-run dip in economic performance. The authors suggested that it might be a statistical quirk related to the fact that governments have a “tendency to implement reforms during a downturn”. That’s certainly plausible, but I’m also open to the notion that good reforms sometimes may have short-run costs. Simply stated, if bad policy has produced a misallocation of labor and capital, then pro-growth reforms are going to cause some temporary disruption. But unless you’re planning on dying very soon and also don’t care about your heirs, that’s not an argument against reform. For example, I think the housing lobby’s opposition to the flat tax is misguided since every sector will enjoy long-run benefits from faster growth, but it’s certainly possible that residential real estate will endure some short-run weakness as some resources shift to business investment. Unfortunately, politicians tend to have very short time horizons (i.e., the next election), so they fixate on short-run costs and under-value long-run benefits. But I’m digressing again. Let’s look at one final passage from the ECB study. For those interested in additional research, there’s a section citing some of the other literature on liberalization and growth. Post-Soviet countries moving towards a market economy have received considerable attention in this respect. Fischer et al. (1996) looked at 26 transition economies over the period 1989-1994. They conclude that structural reforms played a vital role in reviving economic growth. This finding for transition economies was echoed by de Melo et al. (1996), and more recently by Havrylyshyn and van Rooden (2003) and Eicher and Schreiber (2010). Focussing more broadly on countries implementing wide reform packages covering domestic finance, trade, and the capital account, Christiansen et al. (2013) find a strong impact of the former two on growth in middle-income countries. Moreover, they show how well-developed property rights are a precondition in order to reap fully the benefits of structural reforms. The importance of institutions in explaining cross-country heterogeneity is further remarked by Prati et al. (2013), who illustrate how the positive relationship between structural reforms and growth depends on a country’s constraints on the authority of the executive power. Distance from the technological frontier seems also to play a role. If you’re not familiar with technological jargon, “distance from the technological frontier” is basically a way of saying that nations with lots of bad policy – and thus lots of misallocated and/or underutilized labor and capital – probably have more ability to enjoy fast growth. Sort of a version of convergence theory. I also like the reference to “constraints on the authority of the executive power,” which presumably a recognition of the importance of the rule of law. The bottom line is that the ECB study reconfirms that free enterprise is the answer if the goal is reducing poverty and increasing prosperity.